A great way to start your day is by having breakfast. This Pumpkin seeds and vanilla porridge with passion fruit, strawberries and cashew nuts is guaranteed to keep you full for long. So simple and easy to prepare. Put oats in a bowl. Pour in milk, you can add more depending on how thick you like your porridge. Add in vanilla powder and nutmeg, give it a good stir. 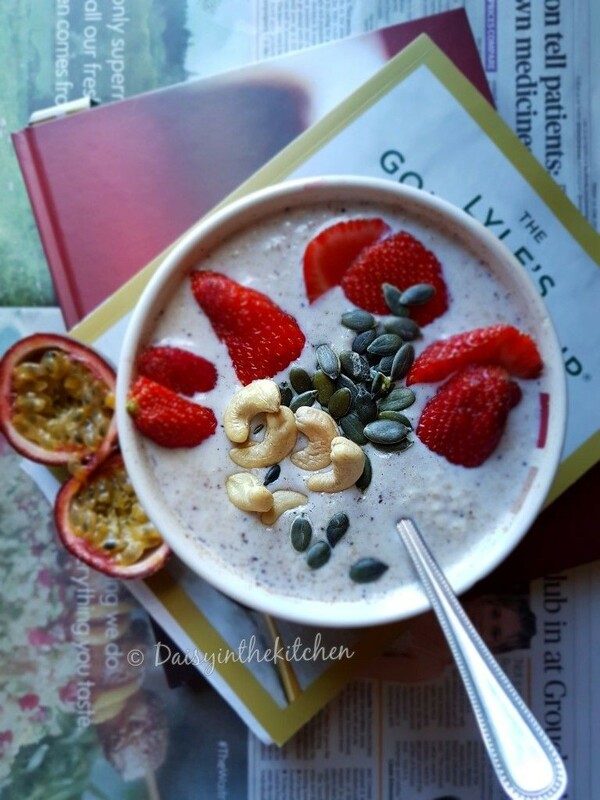 Add sliced strawberries , passion fruit, pumpkin seeds and cashew nuts to porridge.